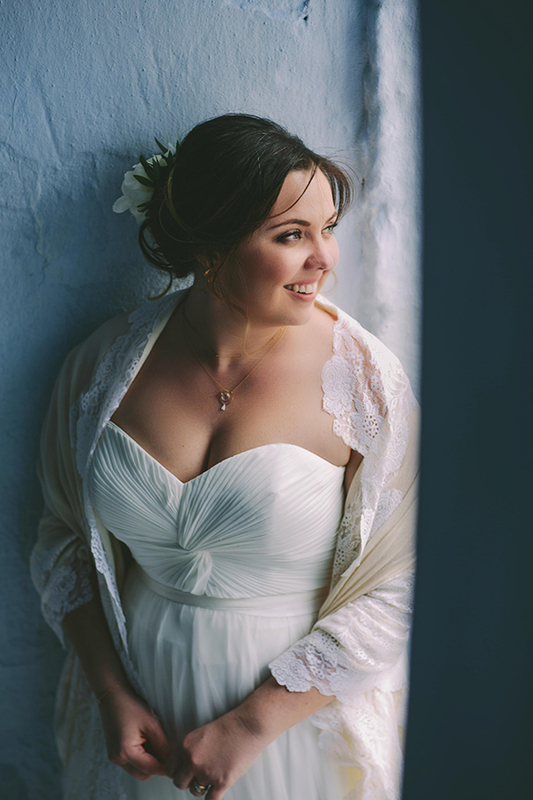 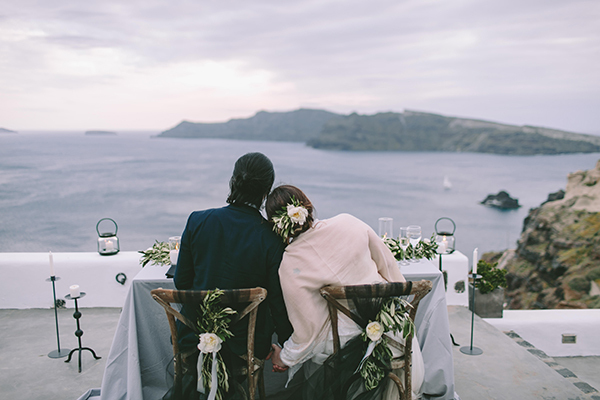 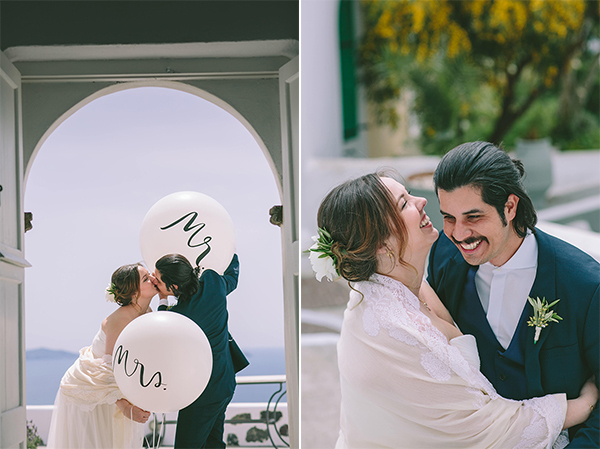 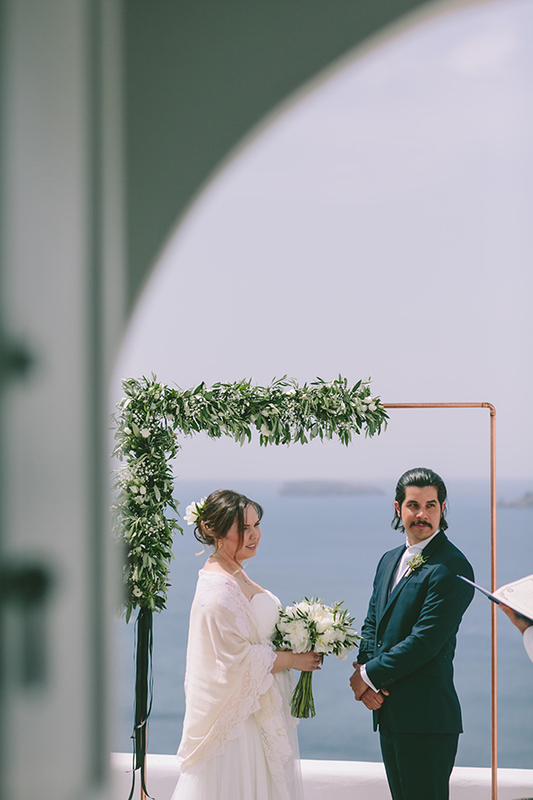 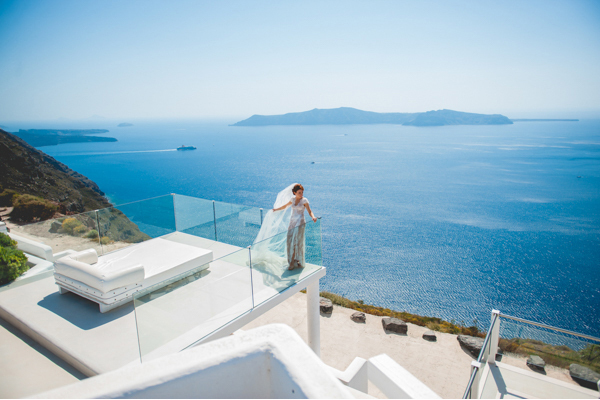 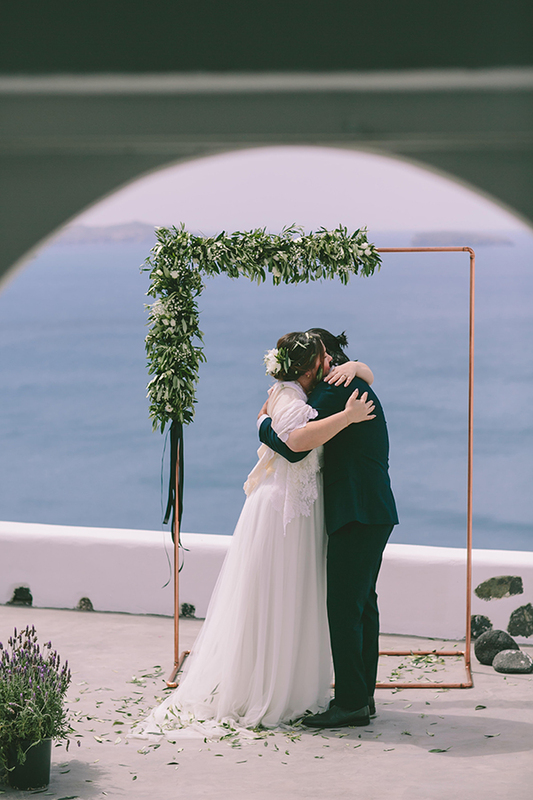 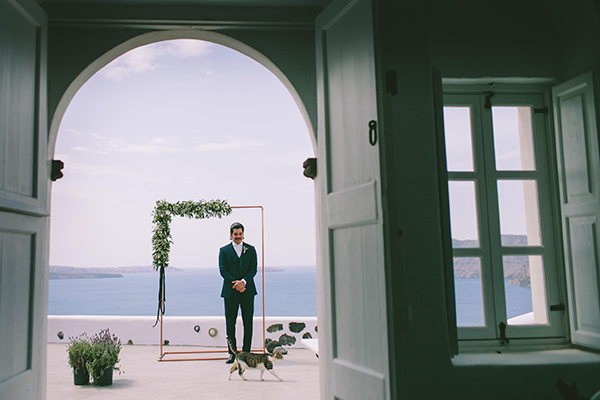 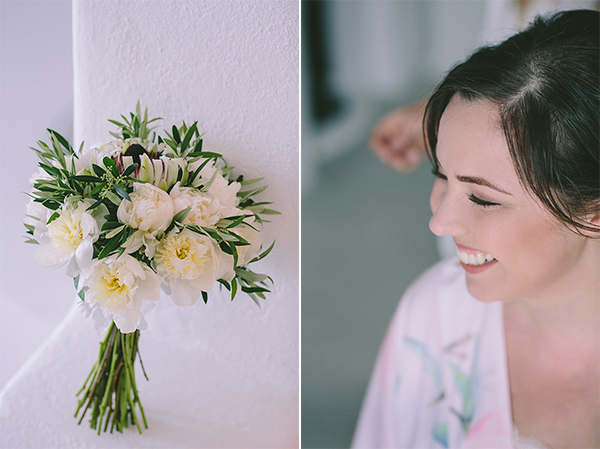 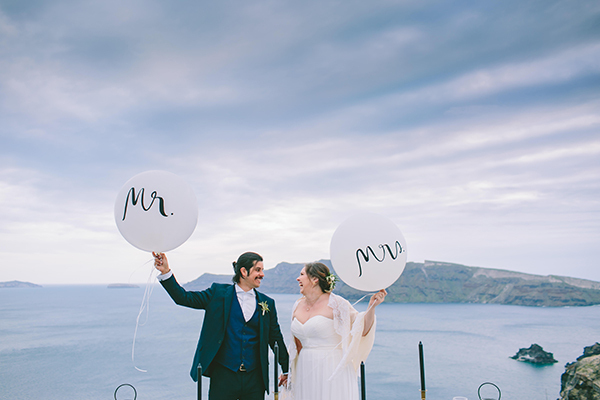 We are sharing today a gorgeous destination wedding in Santorini, captured beautifully by George Pahountis! 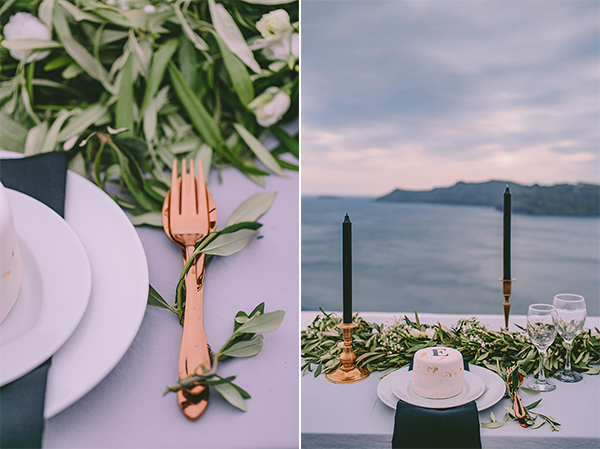 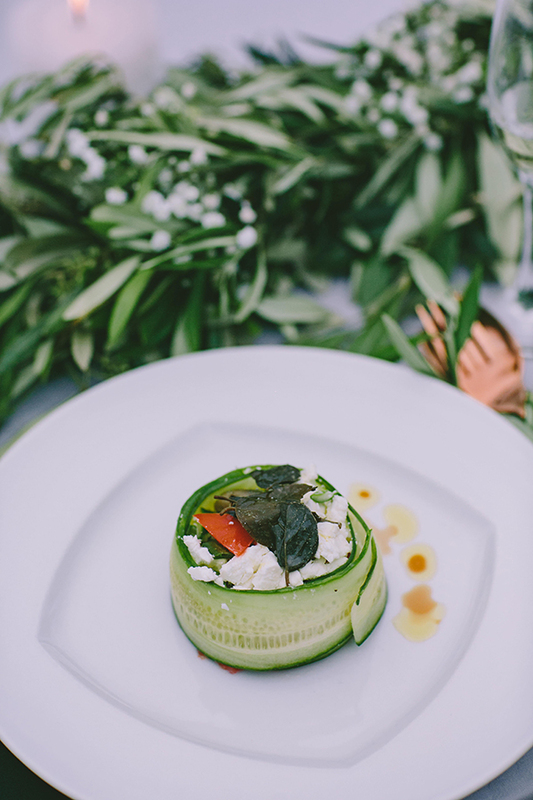 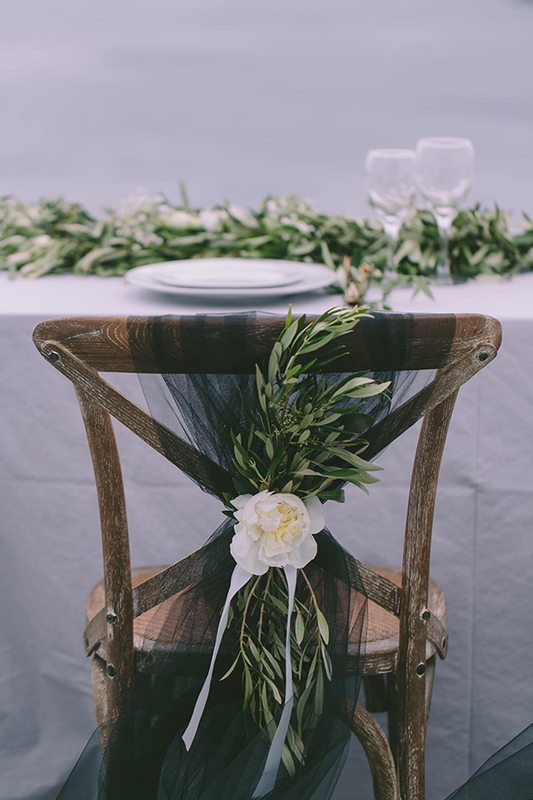 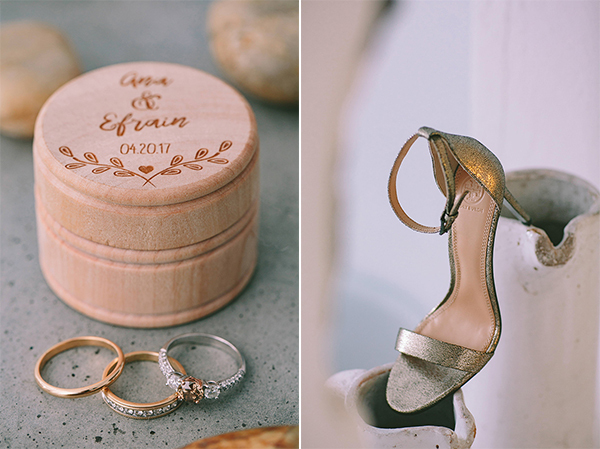 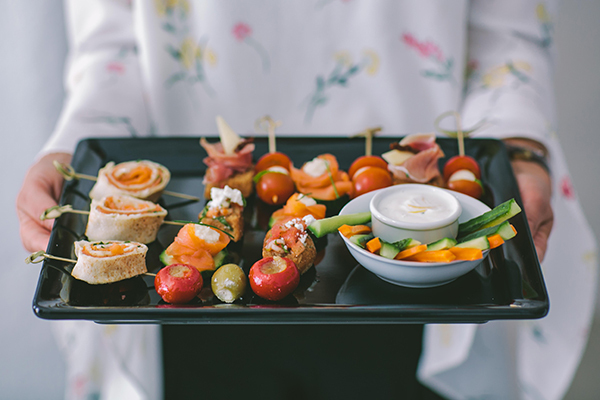 With minimalistic wedding decoration and olive as the main theme and in a gorgeous location with a stunning view, this destination wedding will mesmerize you! 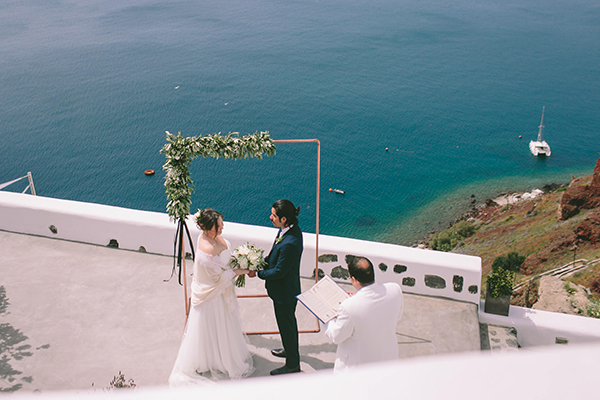 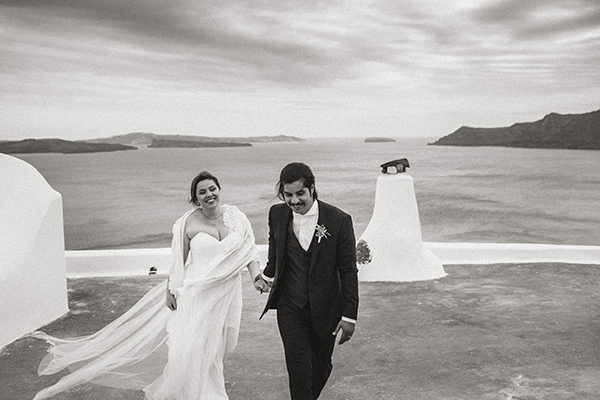 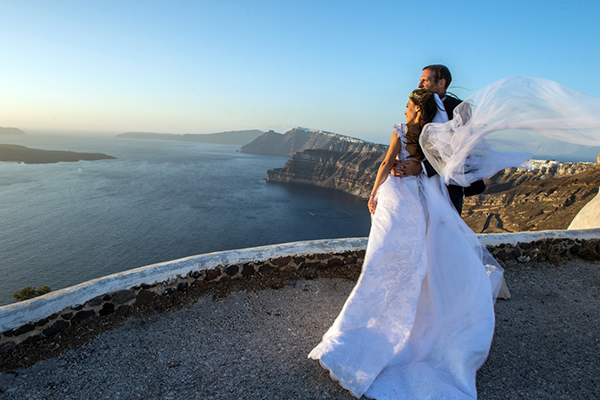 “The ceremony took place in Santorini, at Atrina Canava. 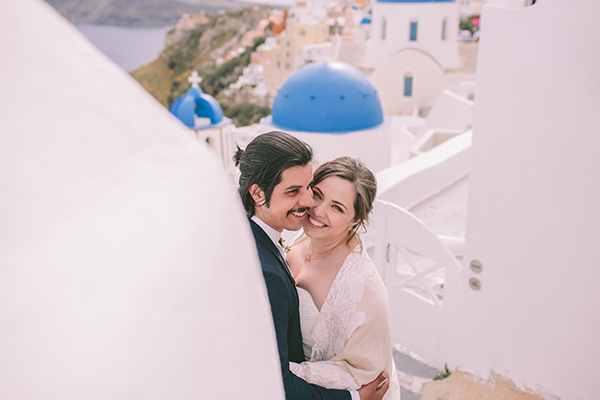 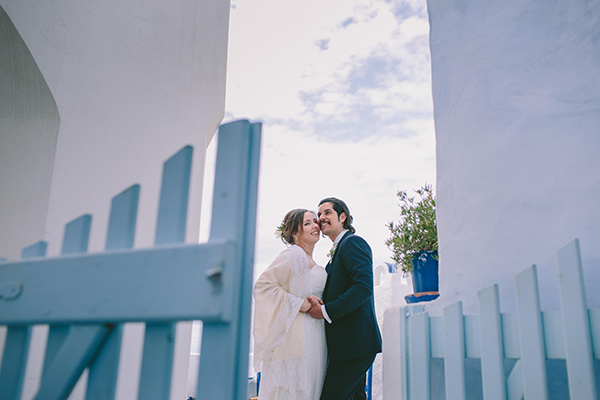 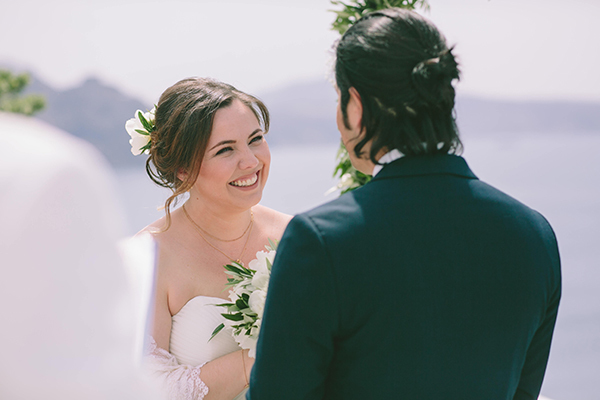 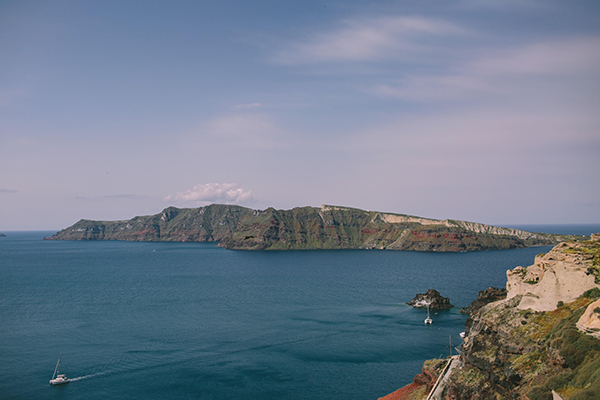 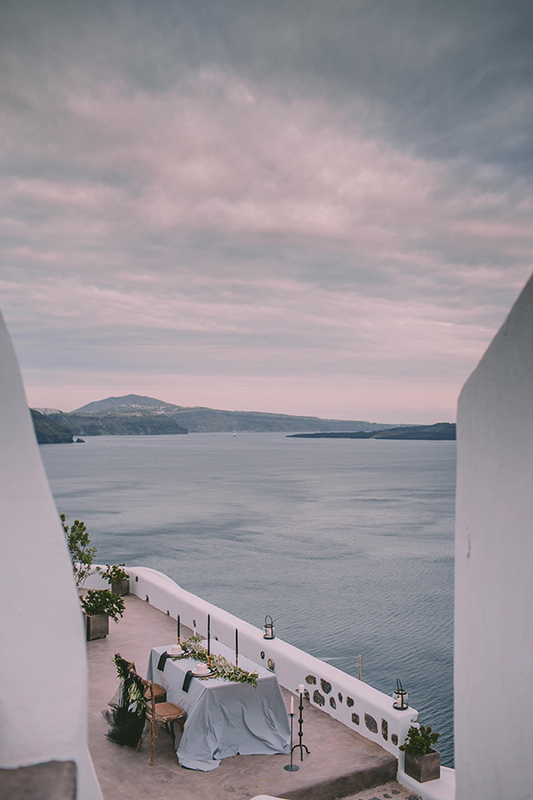 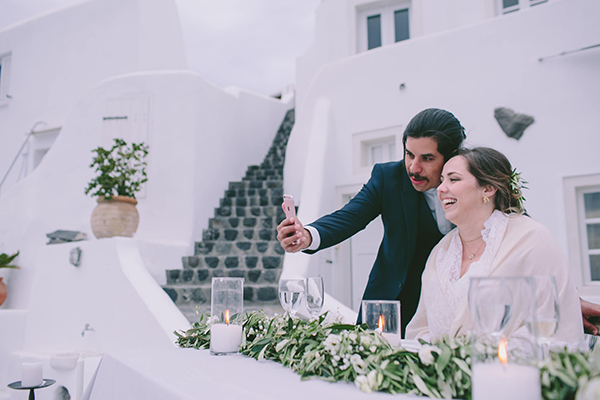 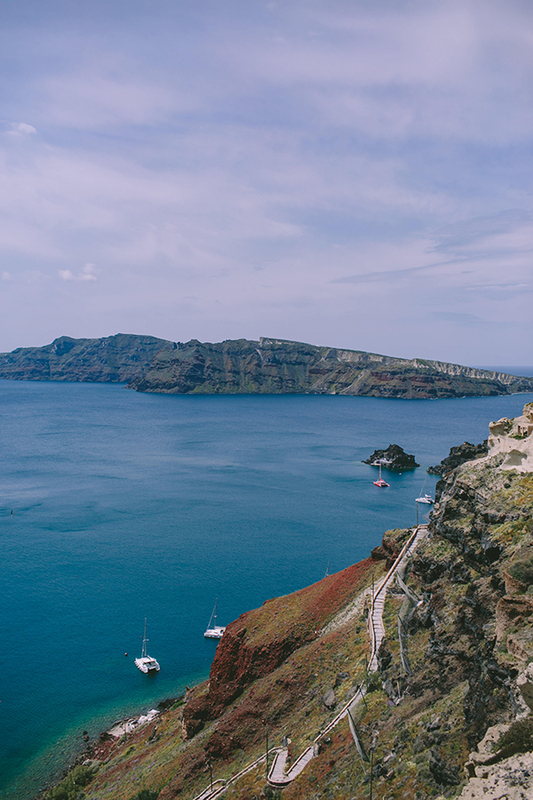 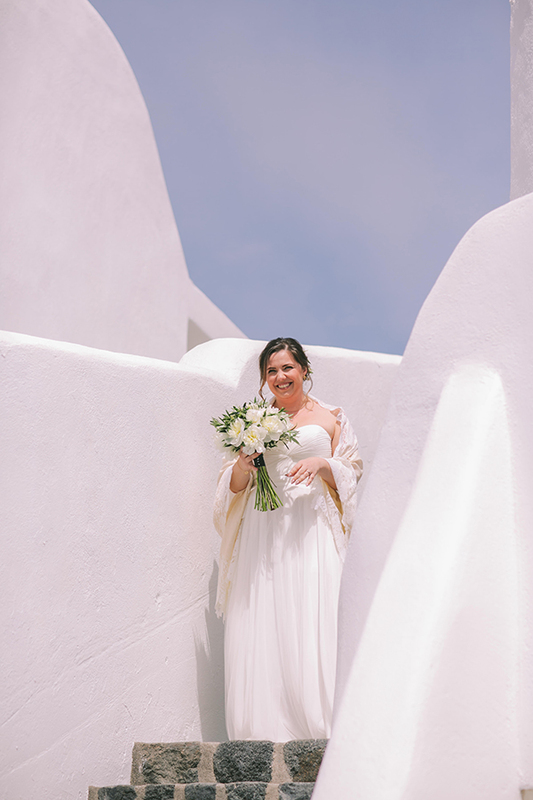 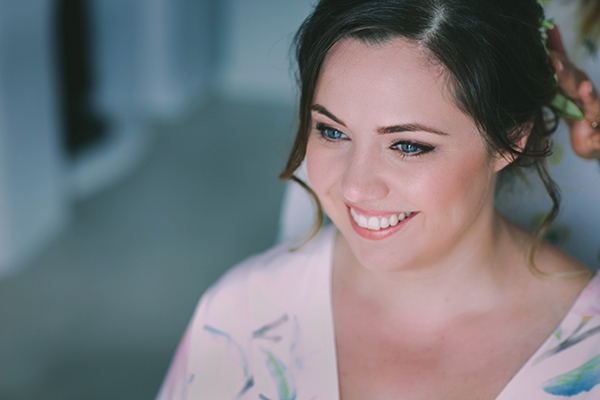 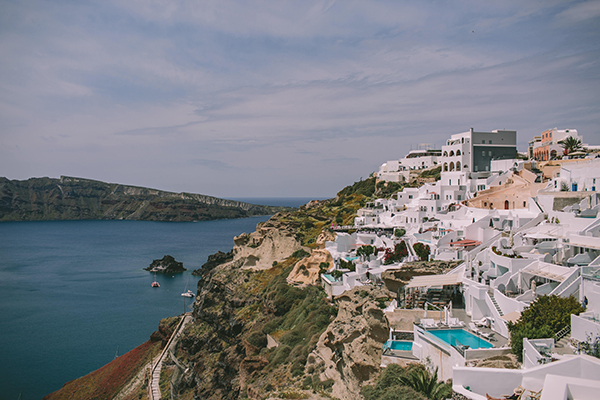 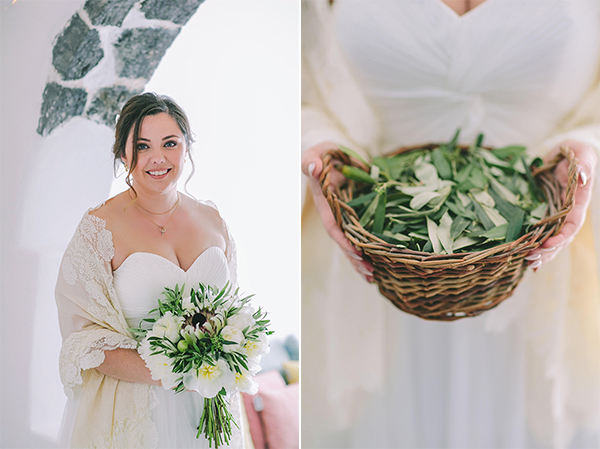 We chose Santorini not only because it’s breathtaking but because we fell in love with the work of Maria Silas, our wedding planner. 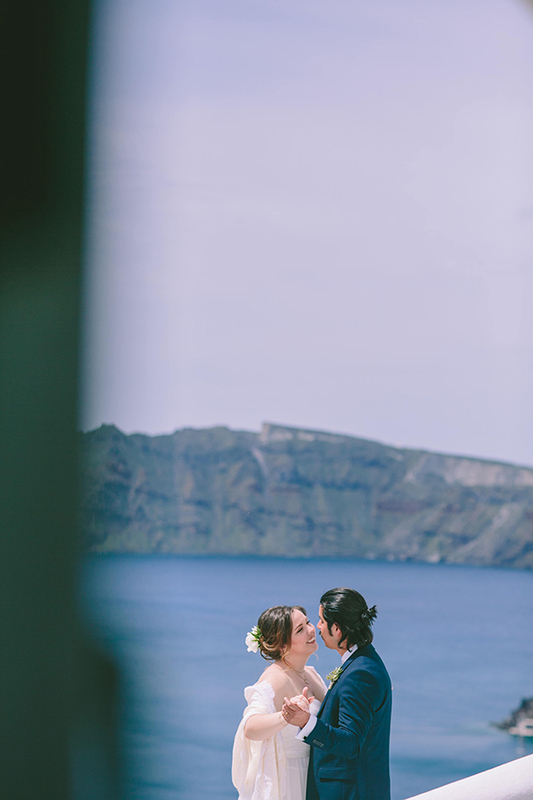 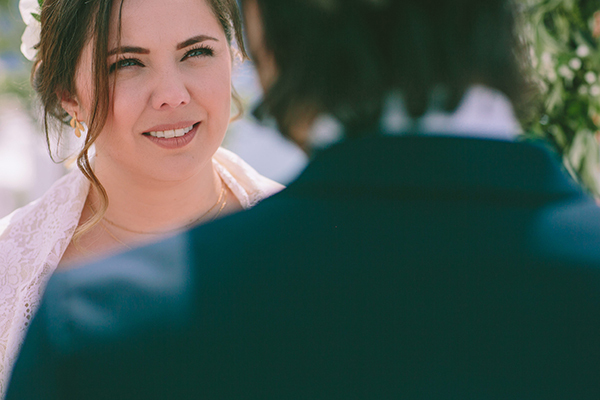 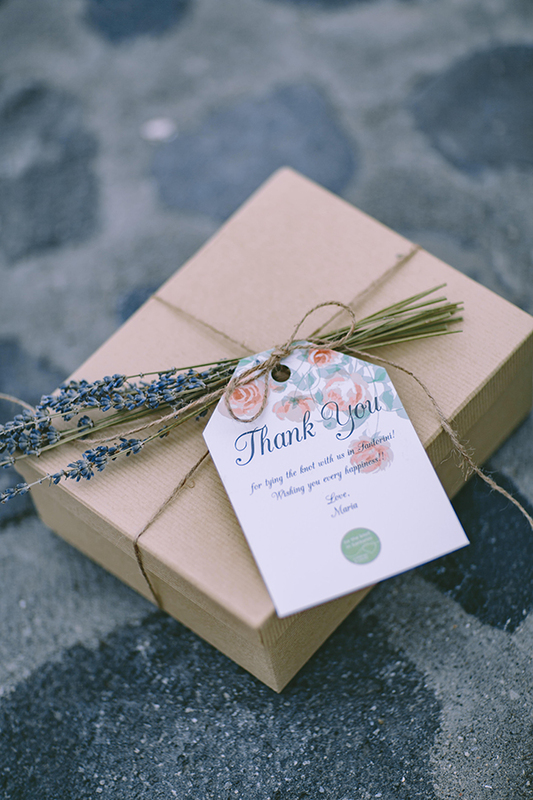 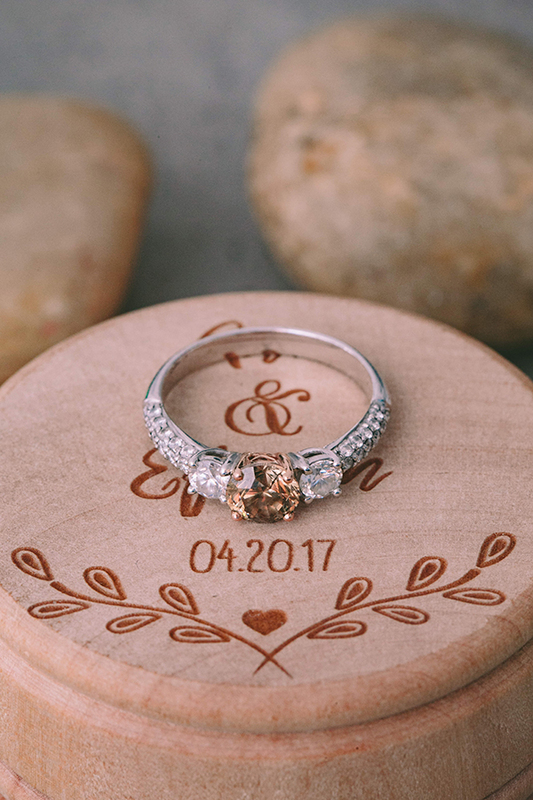 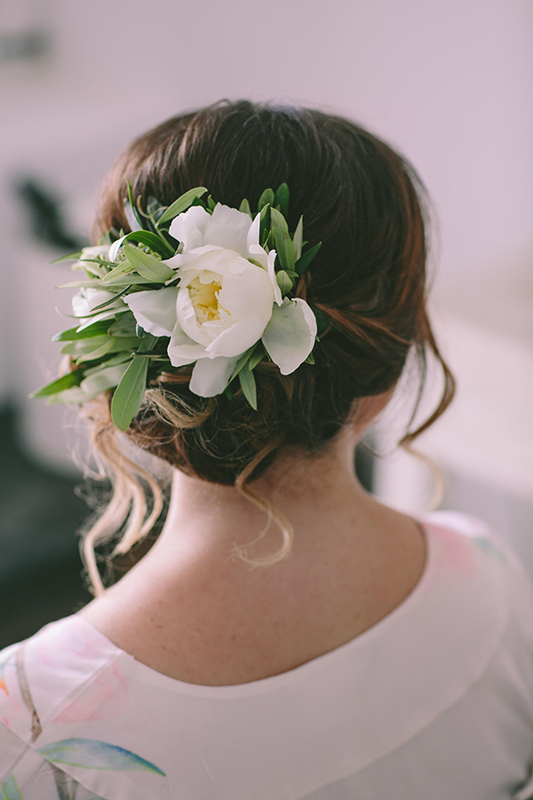 We knew that was the perfect place to do it.”, the bride shared with us.